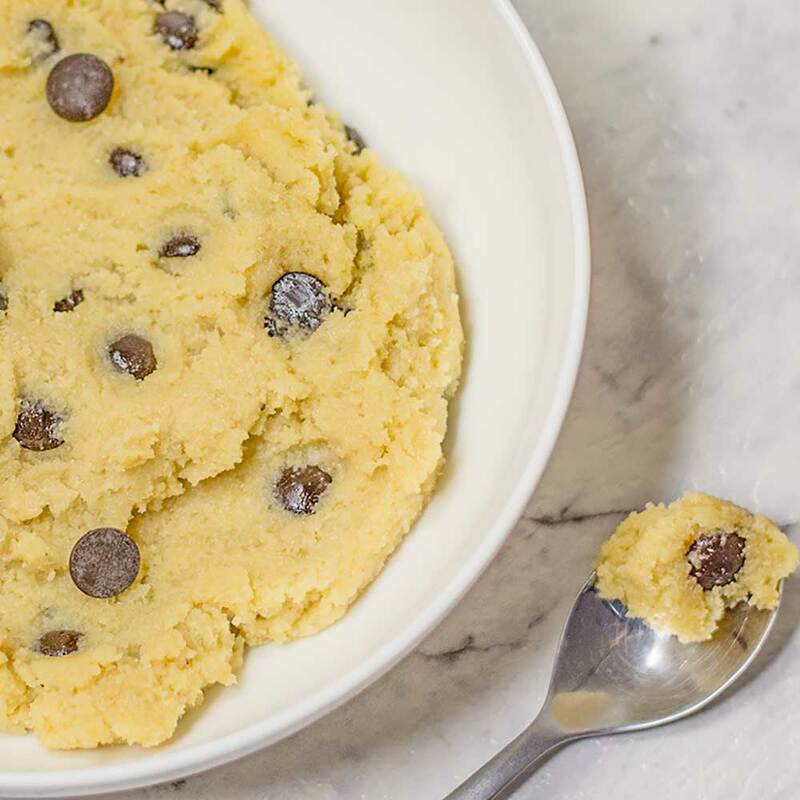 When the cravings for cookies hit on a hot day, it’s quick (and a lot cooler) to whip up some Keto Cookie Dough rather than turning on the oven. The best part about cookie dough is eating it straight out the bowl! We recommend chilling your cookie dough overnight, this will help everything blend together resulting in a smoother mixture. This chocolate chip cookie dough recipe makes 8 serves. 1 serve is 1 cookie dough ball. In a small bowl, add all the ingredients, except the chocolate chips. Mix well. Roll the mixture into 8 balls and set in the fridge for 30 minutes. Enjoy as they are or with a delicious Vanilla Latte. 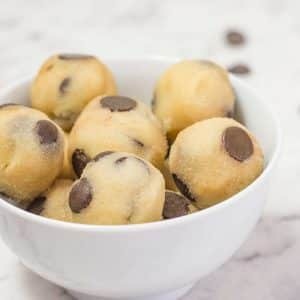 Keto Chocolate Chip Cookie Dough Recipe. This is one delicious and easy keto snack. Our keto cookie dough is healthy, eggless and completely edible. 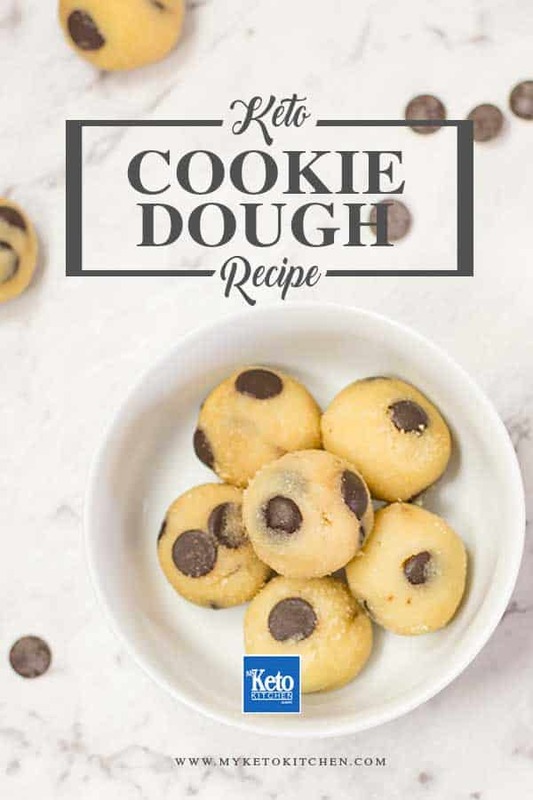 To make a larger batch of this Keto Cookie Dough recipe adjust the servings above. Keto Lamb Shanks Pressure Cooker Recipe – Just FALLS OFF THE BONE! I think I’d have to make half this serving because I know I’ll want to devour all of it haha great recipe! Wow wow WOW they are SO delicious! Thank you so much!